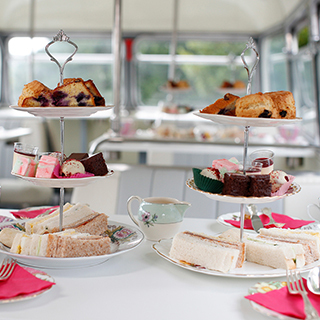 Experience the most unique afternoon tea in Ireland. 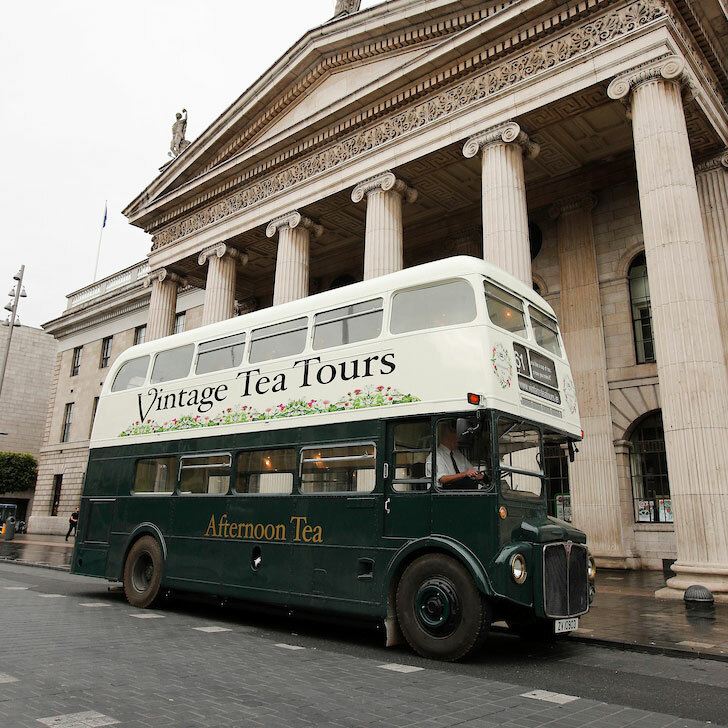 Take in the sites of Dublin City while being served a sumptuous Afternoon Tea on the Vintage Tour Bus. Enjoy the delicacies, good conversation and 1950’s jazz soundtrack. This is Afternoon Tea with a difference. This is an experience to savour. The Afternoon Tea consists of a gourmet menu of finger sandwiches, fruit scones with jam and cream and a selection of exquisite pastries and desserts. Starting and finishing at Custom House Quay, Dublin 1, the Vintage Tour Bus's route takes in the Phoenix Park, St. Patrick's Cathedral, Christchurch, Wood Quay, Trinity College, Georgian Dublin, and more. This unique experiences lasts approx 1.5 hours. This voucher is for 2 people seated on the upper deck of the bus. Minimum age for this experience is 6 - there is no maximum! 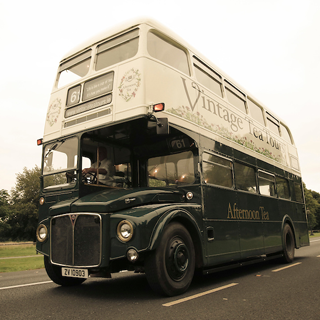 Vintage Tea tours operates three tours a day Wednesday to Sunday at 11am, 1.15pm and 3.30pm all year round. Advance booking on AllGifts.ie is required. 3 tours a day - Wednesday through to Sunday at 11am, 1.15pm and 3.30pm. Approximately 75minutes. Please ensure you arrive 15 minutes before departure time. CHQ Building, Custom House Quay, N Wall Quay, North Wall, Dublin 1. Take a trip through the city and take in the Phoenix Park, St. Patricks Cathedral, Christchurch, Wood Quay, O'Connell Street, Trinity College, Georgian Dublin, St. Stephens Green and more. Experience the most unique afternoon tea in Ireland. 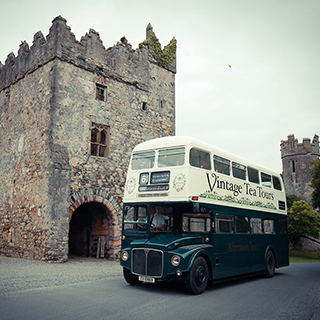 Sit back and enjoy the sites of the Dublin City on the the Vintage Tour Bus. There's no better way to experience the city than on our Vintage Route Master. Experience freshly prepared seasonal afternoon tea and sit back and enjoy the sites of the Dublin City. Nibble away on delicate finger sandwiches,fruit scones with jam and cream and a selection of exquisite pastries and deserts. Take a trip through the city and take in the Phoenix Park, St. Patricks Cathedral, Christchurch, Wood Quay, O'Connell Street, Trinity College, Georgian Dublin, St. Stephens Green and more. 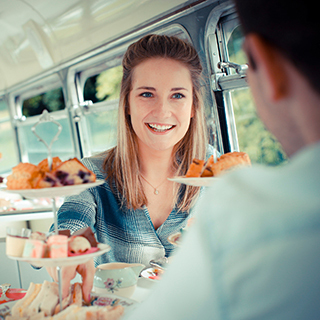 How it Works: Use this gift voucher on AllGifts.ie to make a booking with Vintage Tea Tours. Or you can swap this voucher for any other gift or voucher listed on AllGifts.ie. Simply follow the instructions at the bottom of your voucher.